With everything from your AVR to your Xbox sporting an Ethernet port, some means of liberating media from your PC and unleashing it onto an AV system is obviously welcome. 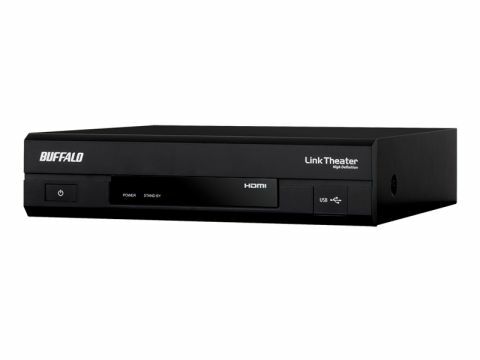 Step forward networked media players like this hi-def capable one from Buffalo, the LinkTheater HD. The Buffalo is compatible with uPnP media servers – ie the vast majority. This includes Windows Media Player 11, and the servers built into many consumer NAS boxes. H.264 hi-def transport streams (like those captured from BBC HD, with a networkable PVR) are supported, but only if they're renamed with an .mpg extension.The menu system, where you choose music, photos or video from the available servers, is responsive and funkily designed. Video output is HDMI or composite only, and the range of output options is restricted. A lack of 50Hz hi-def (720p/1080i) or NTSC standard-def (480i) modes means some video is spoilt by unwanted motion judder. Despite the presence of a continuous play function, the LinkTheater HD won't automatically play the next file in a folder, strangely. Contrary to claims, there's no support for popular .mkv files. Hi-def DivX/XviD isn't catered for, either and there's no support for online media, such as internet radio.